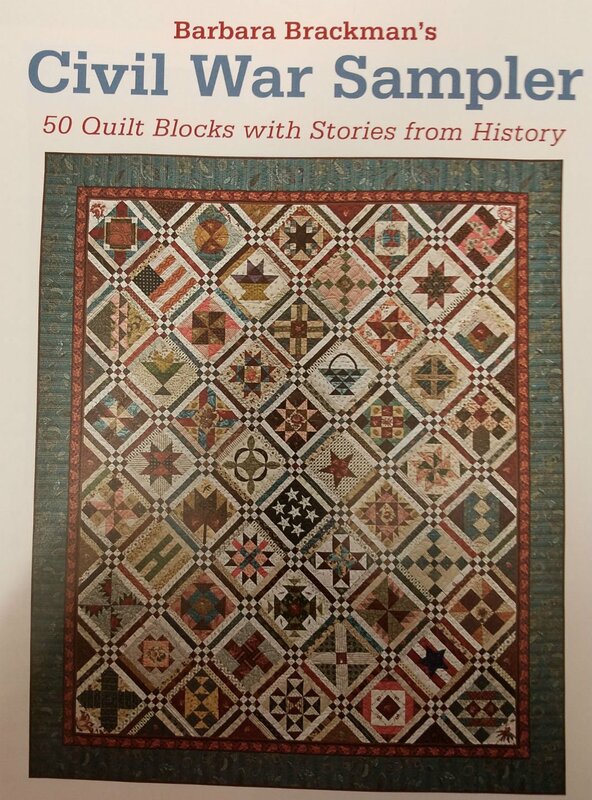 For those that love Civil War quilts and reproduction fabrics this is a great project. We meet the 2nd and 4th Tuesdays during regular store hours (10:00 a.m. to 5:00 p.m.). You can come any time during those hours and stay for as long as you want. Everyone is working at their own pace so their is no pressure to keep up with a schedule. The quilt-a-long will last as long as it takes to finish the sampler. The book as samples of arrangements for the blocks and you are free to make it whatever size you want. Please call the store if you have questions and to make sure their is space in the classroom.